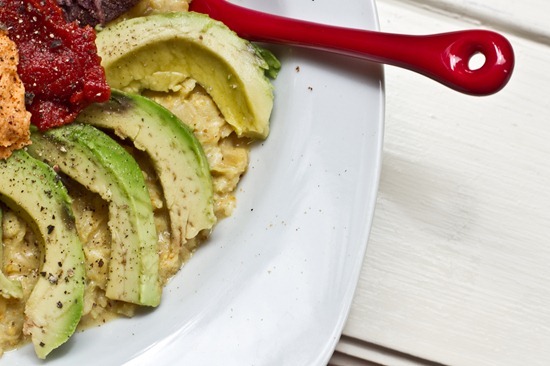 I kicked off the long weekend with something I haven’t had in a long time…cheesy savoury oats. 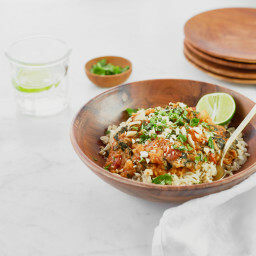 These are one of my all-time favourite quick, healthy, and easy meals. For some reason my stomach has been nauseous all day long and this is the only thing I felt like for dinner. Weird I know, but these oats comfort me! 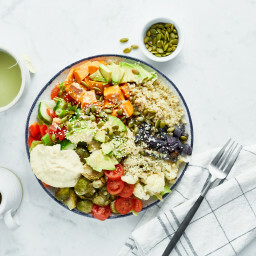 The best part of loaded oats = going crazy and loading on toppings! So many textures too. I love getting a little bite of everything. For dessert I broke into my Vosges Creole Expresso bar all the way from Chicago! I like my chocolate intense, deep, dark, slightly bitter, smooth, and creamy. This was no exception. After two squares I was done like dinner. I also did some much needed speed organizing tonight. If you are anything like me, a cluttered space equals a cluttered mind. An organized space equals free-flowing creativity and a decrease in stress! That is a small business battleground right there. It has pretty much been like this for months. The beautiful and zen-inspiring AFTER (in just 20 mins)! I also spent a while putting Gmail’s new Priority Inbox to good use and I organized ALL of my emails. Is anyone else using the Priority Inbox yet? It is awesome. Can you believe I had 27,000+ non-archived emails in my inbox? Horrifying, I know. I archived all but 5 of them. 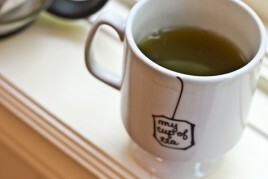 I also created a couple new labels- 1) Green Monster submissions (I’m almost caught up! 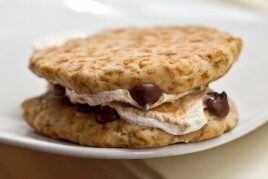 ), and 2) Recipe spottings. Then, I deleted about 15 labels that I was no longer using. This made for a very short and quick drop down menu. What is your computer space like right now? Cluttered, organized, Type-A, messy, chaotic, like a page out of Martha Stewart magazine? Do you have any plans to change your work space or decorate? I have more goals for decorating and organizing my space down the road. First, I need a better storage system. Right now I just dump everything into one tiny plastic file (that is busting at the seams) or the deep-set cabinets. It is a bit chaotic. I also want to make my space look more feminine as it is a bit masculine. I could use some frills, polka-dots, ribbon trim, and flower prints right about now. 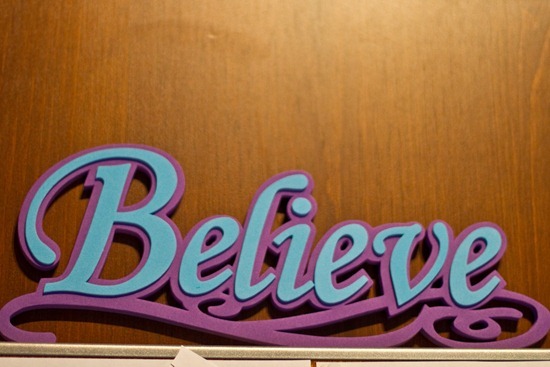 Right now, this is the only girly touch I have at my desk- A ‘Believe’ sign from Dollarstore. Some moments, during times of chaos, I glance up at that sign and it gives me hope. Achieving organization is a great accomplishment! sure it would be a cluttered mess. My computer space is currently my lap =( We just moved (a few months ago *ahem*) and are currently in the process of redecorating. Once I get a legitimate workspace set up, I’d love to try and keep it organized! I am definitely Type-A when it comes to my desk. Each morning at work, I organize it and clean it with Lysol (okay, maybe I’m a little OCD too). I also add girly touches like photos and greeting cards. You could also buy some cute fabric to cover your bulletin board. I so need to organize my home office. It has (unfortunately) been on my to do list for about a week – eek! Nice organizational skillz! It feels soooo good to tidy up, especially before the weekend. 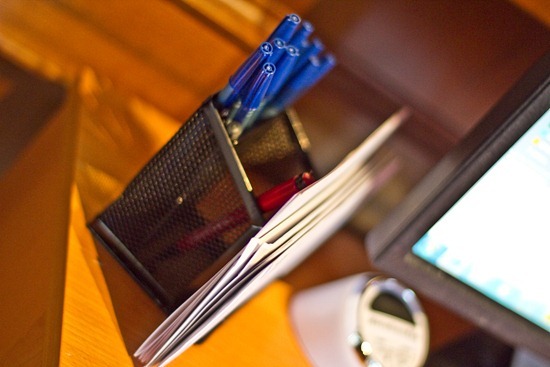 Coming from a fellow business owner…the work space is so important, isn’t it! Just yesterday I was reading an article from a woman who build up her business is her top two tips were: to create a space that your thrive in and to always remember purpose: why are you doing this, what are you hoping to cultivate in your heart, mind and soul. I thought that was so wonderful! Speaks to me just as your believe sign! 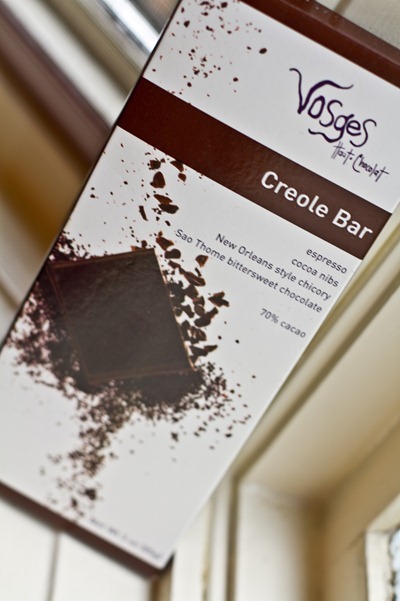 I had a feeling you would love Vosges chocolate ;) That kind sounds amazing though it would be trouble for me to have espresso at night, I would be wired for hours! Although since you wanted to go on a heavy duting organizing spree maybe the espresso did the trick! Hmmmmm now I want nachos for dinner tonight! Never had savory oats before. I’m sure anything tastes amazing with those toppings. Wow! You were on a roll! I love organization. And I just did the priority email thing today. I haven’t archived and gone through much of anything though. As much as I love oats and as much as I eat them, I still have not tried the savory oat thing. What am I thinking I do not know. Yours sound sooo very good! I love quick fixes like that! It makes such a difference to have a tidy work space. I have not tried savory oats — to me they need to be sweet. I can’t quite wrap my head around the whole savory concept + oats. Maybe one day! I bet that feels awesome! I can’t handle not having things organized – guess I’m guilty of being a little too Type A sometimes. It’s so fun to see where you work! I love the “I’m a quitter!” Natalie Dee Poster! I really want the “Anxiety Girl” shirt. I probably have such bad anxiety because my life is a mess–I need to take a tip from you! I am glad you saw that! I love it…going to buy the real thing soon. Can you come help us organize our office??? 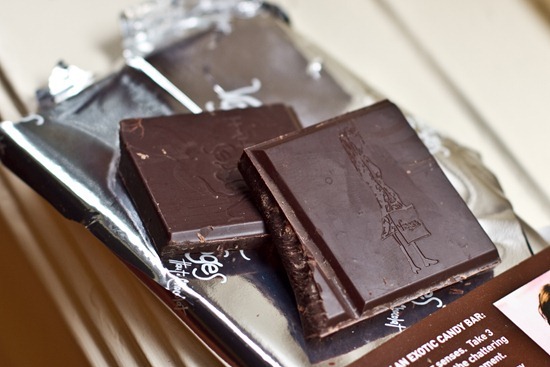 There is nothing quite like good dark chocolate to finish a meal! Oh I totally believe that a cluttered desk is a cluttered mind! The top of my desk is clear right now though my drawers are full of all sorts of junk that I don’t know what to do with! During my undergraduate I used a kitchen table as my desk ( with cute Ikea boxes underneath for storage) and it worked perfectly because I had to keep everything organized! clutter completely de-centres (un-centres!?) me! i love clean, minimalist work areas. i just finished cleaning our condo – yea, great friday eve entertainment, but now i’m set for a clutter-free weekend! good work on your work space! i love the before and after shots! I have the priority inbox but haven’t touched it yet… I need to get on that! omg. if you thought your desk was messy, you would faint if you saw mine!!! hahaha. i’ve been meaning to clean it up. hopefully it’ll help me be more productive! 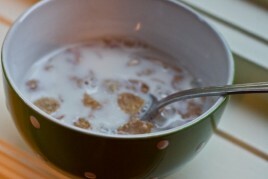 Oats comfort me too :) That’s why breakfast is the best, most relaxing meal of the day! Oh my gosh I can’t believe how many emails you had! I just went through mine about a week ago, and had about 2500. I thought that was a lot, but nothing compared to you! Good job getting everything organized! Wow, you’re quite the speed cleaner! My desk’s not *too* bad right now..but it could use a little tidying up. Wow – that was super speedy organizing. I hope your stomach feels better! Ahh… I am shamed to look at my desk right now. Maybe the mess will disappear when I come back from lunch. That’s so awesome that it only took you twenty minutes. I love twenty minute cleans of my room. I feel so good afterwards. Ahh, i can’t understand how you survived without Gmail’s archiving feature before this. It is a life-changer! I’ve been meaning to try savoury oats FOREVER! 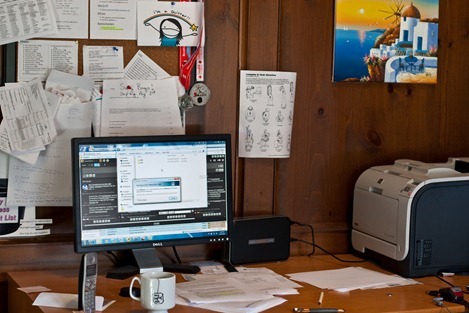 I’m the same way, clutter impairs my ability to think clearly! Oh wow, those cheezy oats look amazing! I would need to find some nutritional yeast though! Nice job on your desk! Ever since I started at University, I have been much more organized with my space than I ever was at home — maybe because I have less of it now, and no one to clean up after me : ) Having said that, I really do need to get my things really organized when I get back from this weekend, since I do tend to study better, write better, and focus better when my laptop space is clear. Thanks for reminding me! I definitely know what you mean about having a clean desk…Less clutter = better for me. My desk has a computer, pen/pencil holder, lamp, picture frames, and some books. Because I’m a college student my desk is in my room, so I definitely try to keep it clutter free because otherwise it makes the whole room look like a mess. Your desk looks great! It looks like it’s 100x’s more organized!! I love uncluttered workspaces -like mine at work :D I can’t function if my papers are all over so I always keep it very tidy. I don’t have a computer space at home, but my desk in work can get pretty cluttered! People leave stuff on it when I’m at meetings, argh. I organise everything into order of priority everyday. I noticed the new Priority inbox feature the other day, I’m hoping to get it set up over the weekend. Loving those savoury oats! I also find oats the perfect food if I’m feeling icky. I am currently in the process of decluttering my living space. It feels so liberating to declutter and free up space. The energy just moves more freely when it is not inhibited by clutter. Nice job decluttering today! Love the Natalie Dee poster :) When I left my grad program early (best decision of my life!) I joked about getting that Tshirt to wear to final meeting with my advisors. But it turns out sometimes being a quitter is the greatest thing in the world – so much happier now! haha that would have been awesome! Those cheesey savory oats sound delicious, not to mention look amazing. I love all the toppings. 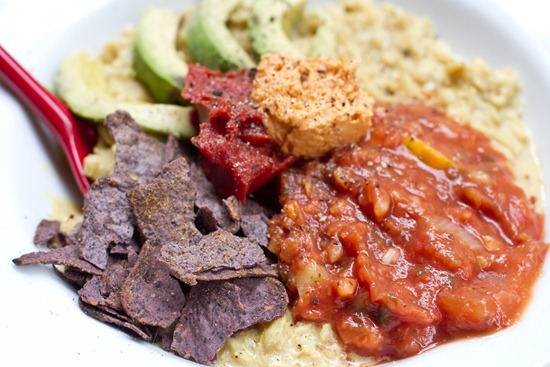 Super easy and completely healthy nachos going on there! Yum. Yes!!! I love uncluttered space! I just did this with my husband’s desk and he keeps saying “I just can’t believe how good this looks baby!”. It really does make a difference! My inbox is a disaster..I need to organize everything and label them so I don’t forget about important e-mails! I also have a recipe spotting for you. I don’t know if you got it (from a comment a while back)but it is on my website, would you like me to send it to you? If you type “fries” you will see my recipe for Carrots, Parsnips and Sweet Potatoes w/ pb fries. It all started from the “explosion” of those parnsip fries that you started! lol. 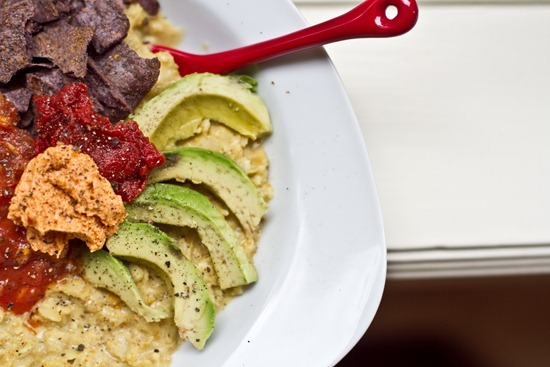 What a killer dinner…I have-got to try the savory oats soon. That also is one of my fav dark chocolates, I think they are starting to carry that at T Joes. Sorry you don’t have a T Joes. :( I will send you anything you need, as I live walking distance to 2 of them. Then you can send me a Wunder Bar! Happy Day! Will check out your fries :) I need to make them again! I am pretty organized, althought it doesn’t always look nice and neat and put together. But everything is organized in the sense that it is where I want it to be! hiya Angela! I am not naturally organized, but I’ve learned that the more organized I am, the more productive and happy I feel. It looks like we were on the same page yesterday, I spent the afternoon overhauling our office. I’m starting full time school on Tuesday, it’s been a decade so I need all the help I can get! I have an idea for a simple DIY that will add a feminine touch to an office. I took a corkboard and covered it with a lovely printed fabric, easy peasy. You can add some pretty ribbon or splurge on some pretty push pins to take it a step further. I also love to coordinate colours with office accessories. Our office is a pumpkin orange colour, I found some lovely green & brown magazine & storage boxes that add some interest, and a cozy brown rug really warms it up! 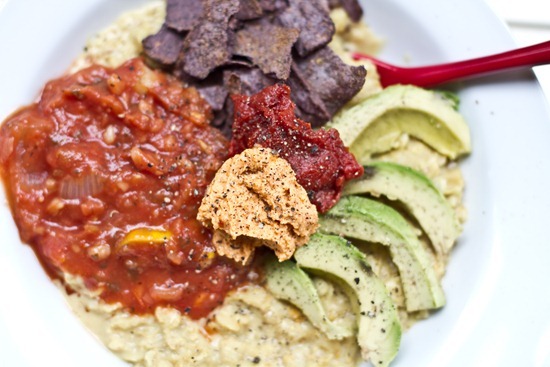 I would never think to make ‘nachos’ out of oats! My instinct would be to think oats should be paired with something sweet but those avocados are so tempting I think I’ll give that a shot. Avocados couldn’t probably convince me to to do anything. There are few things in the world that delight me more than a nice organized desk so I like to keep mine in tip-top shape. I am that way with my kitchen too :). 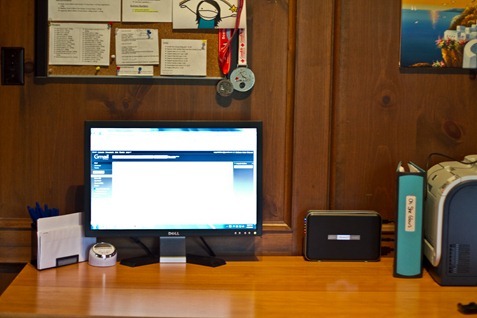 Something about smooth, clean, empty desk/counter space makes me feel happy inside. Like a canvas waiting to be painted on. This is probably a stupid question but I am not an oats person so I have no idea what “regular” oats are. Is it steel cut or rolled oats? 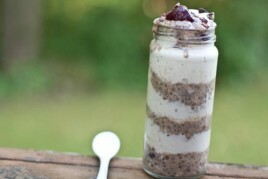 I would love to make these so I am interested to see what oats I should use. I usually don’t eat them because I’m not big on sweet meals so this sounds and looks perfect! 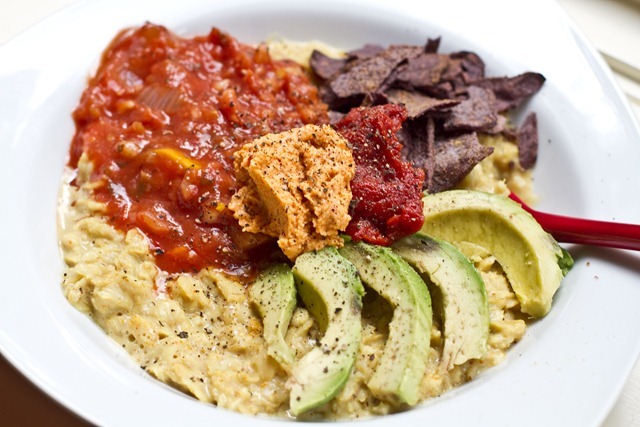 Savory oats in a burrito? Or is that just odd?